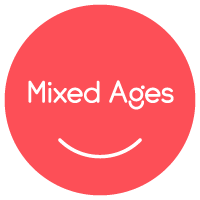 What does Mixed Ages mean? In each class we strive to create a musically rich, developmentally appropriate environment where the whole family can enjoy music and nurture skills at the level right for each child. Mixed aged classes provide a rich learning environment because children of different ages thrive when they interact with each other. The babies are fascinated by the older children and the older kids enjoy helping and sharing. This approach is based on research form music education, early childhood development and family relationships. Can I bring my older sibling/out of town guest to class? We know that sometimes school takes breaks and you have 2 children instead of 1 to care for or you have out of town guests who may want to join you for your Music Together class. Please feel free to bring your older sibling/out of town guest. We recommend donating to our scholarship fund. You can also bring your donation to class and give it to your teacher. If the older sibling/out of town guest will be attending regularly (more than 3), they will need to register and pay tuition. If you have an in-town guest who would like to visit class, please have them sign up for a demo class to come check us out for free! What if I miss a class during a session? We offer 2 makeup classes during a session. Scheduling of makeups is done online. Your teacher or center director will supply you with instructions on how to do this once registered in a class. • Makeups must be made during the session in which class is missed. • Makeups are not available until the 2nd week of the session; we do not offer makeups during the 1st week of classes. • Makeups do not carry over to the next session. Therefore, we encourage you to use your makeups. If there is availability in the class in which you want to transfer, we can most likely accommodate this request. Please contact us at admin@twinkletogether.com to inquire about class transfer requests. We are so glad you have found our Music Together classes! We would love to have you join us at any time during the semester. Please contact us at admin@twinkletogether.com to discuss how to join us if you will be beginning classes after the session start date. We do not issue refunds or credits unless you have a medical or family emergency (death in the family or debilitating injury). We will not issue credits or refunds for non-emergency reasons such as nap times changing, a conflict with another activity or starting preschool. It is up to you to make necessary adjustments to be able to attend your registered class. If a credit is given you have one year from when it was given to use it. Credits cannot be converted back to a cash or credit card refund - no exceptions. What is the difference between Priority Registration and Early Bird Registration? From Fall Session into Winter Session and from Winter Session into Spring Session, we offer Priority Registration to our currenlty registered families. During Priority Registration, we hold your seat in your same class for you for the next session. All re-registrations are made through the payment request email sent to individual families and families may request a class change during Priority Registration. At the close of Priority Registration, all families who have re-registered with us will receive an enrollment confirmation for their class for the next session. Any families who missed the deadline for Priority Registration can register during Open Registration. From Spring Session into Fall Session, we offer Early Bird Registration for our Spring Families. Families will receive an email with a code to participate in Early Bird Registration. Families will then be able to register for classes on a first-come, first-served basis. Families who miss the Early Bird Registration deadline may register in Open Registration. We are unable to save seats from Spring Session to Fall Session due to schedule chages, location availability, and various other factors. All Summer Session registrations are Open Registration. We do not offer Priority Registration or Early Bird Registration for the Summer Session. Yes! We want all families to be able to experience the Music Together experience. Please contact us at admin@twinkletogether.com for more information. Can I take pictures or videos during class? We know that it is so easy to take pictures of our kids and share on the many social media platforms - and our kids do the cutest things sometimes. 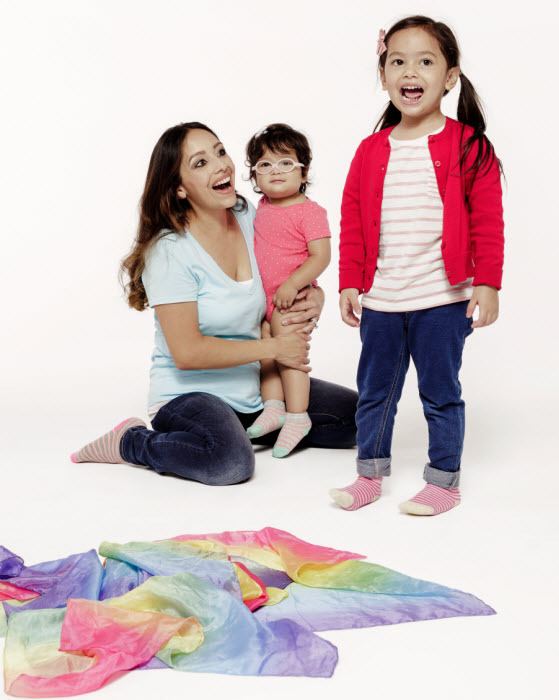 However, due to the music learning environment we want to create (when you're taking pictures or videos, you are no longer making music with your kiddo), as well as the many families who want to maintain privacy for their kids and family, we do not allow pictures or videos during class time. If you want to have a photo-op, you are welcome to stay after class and take pictures. For families that have privacy concerns, our teachers do their best to give this information to all of our families, but we can't monitor all that goes on. If you have concerns, we encourage you to discuss this with the family who is taking the picture. Anything else a parent should know? Please do not bring food or toys into the classroom. Please arrive on time to class. All of our locations are "no shoes" facilities, so please remove your shoes before sitting down in the circle. Please wash your hands before and after class or take advantage of our hand sanitizer in the classroom. Please do not take pictures or videos during class time. You are welcome to stay after class for photo-ops (this is due to the learning environment we want to create, as well as, privacy issues families might have). We have an Attendance & Other Class Policies page that you can refer to as well.